Another wonderful day yesterday, seeing old friends, meeting new people, looking at what everyone is stitching, and shopping at New Jersey Needle Festival (NJNF). 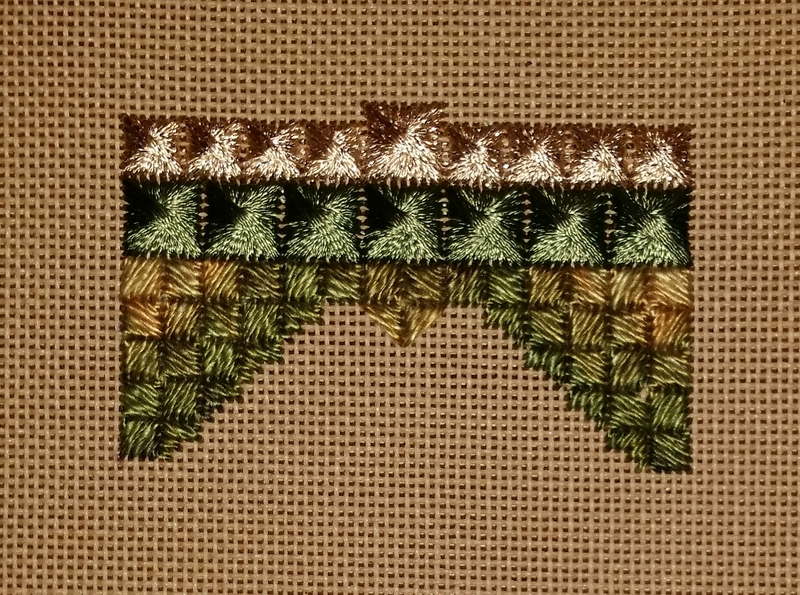 I took my pillow – the finished Stitch of the Month, Feuilles d’ananas by Susan Hoekstra. Several of us had finished the piece and several others are still working on it. It’s fun to see what colors everyone selected. I picked up 2 large project bags from Trish Vine Design. There are a couple of pieces that will take some time. I had hoped to finish my second Color Inspirations at NJNF but it took most of Sunday too. This is my second piece from our Orna Willis class. All done now! 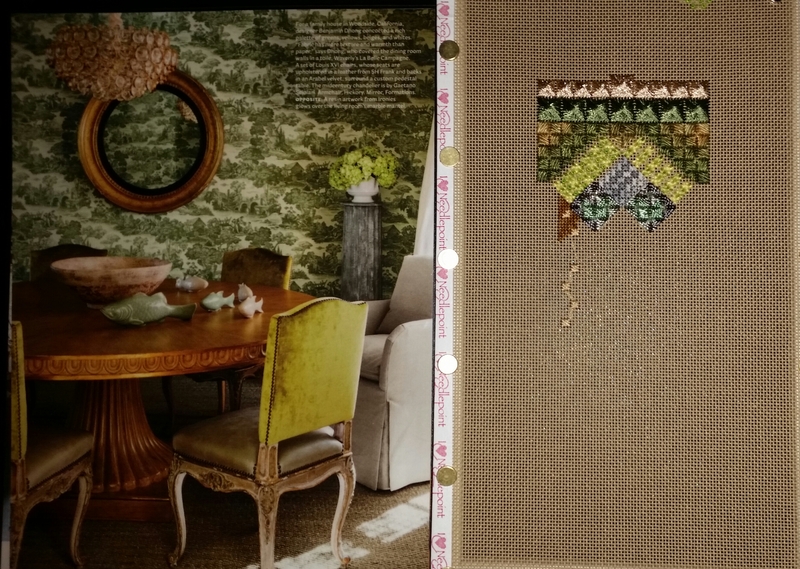 The stitched piece (right) is supposed to reflect the colors from the magazine page (left). I’m very happy with the outcome. Patrick (far right) joined us for the first time. And, from left to right some regulars: Lori, Rona, Ginny, and Buff. There I am in the bottom photo (left). I think I should explain that we had 2 photos to select from. I selected 1 of the 2 most difficult pictures of the 15! 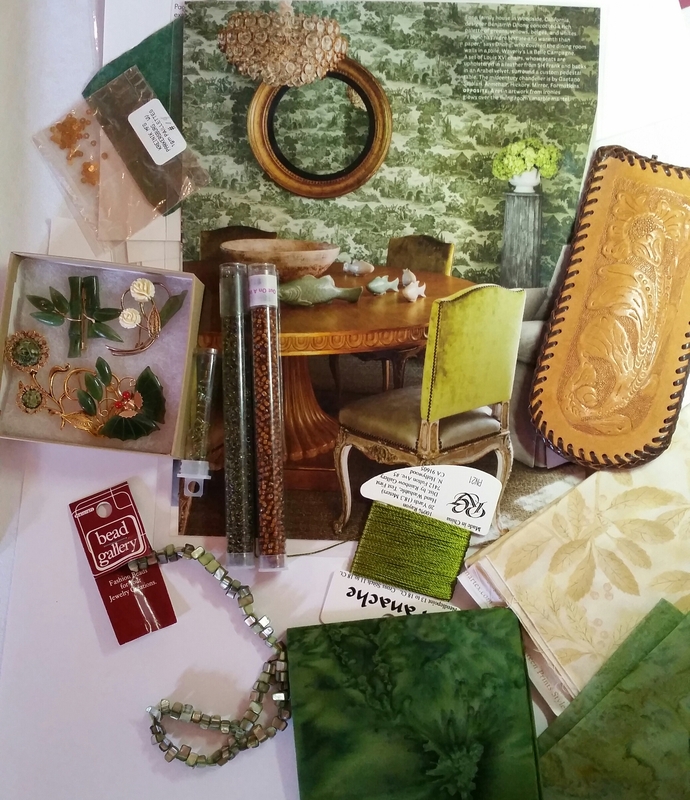 The combo of different greens is challenging for me to do. But, going out of my comfort zone was intentional. And, I think I included all the colors. 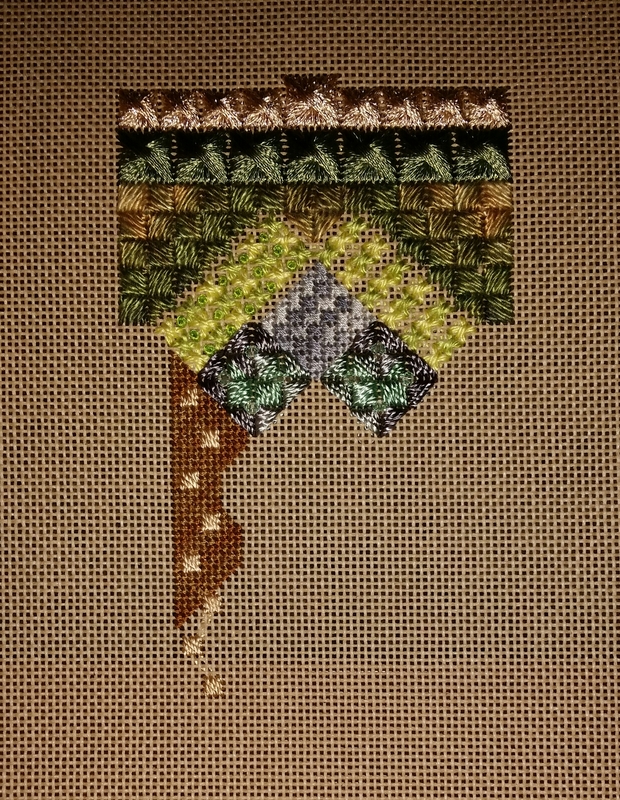 I found the overdyed green Edmar thread in my stash that I loved for the wallpaper after I had stitched the top portion or else I probably would have placed the Edmar under the 2 rows of Rhodes. By the way, the Edmar was in a thread package I had purchased from Orna’s Etsy site! She is an excellent teacher and I learned a lot from her demonstrations of French Knots, Jessicas, and laying threads! Here’s the final piece (photo on the left & stitched piece on the right). I stitched a little more after class. What a great class at Orna’s studio today. All those threads right in her own home! 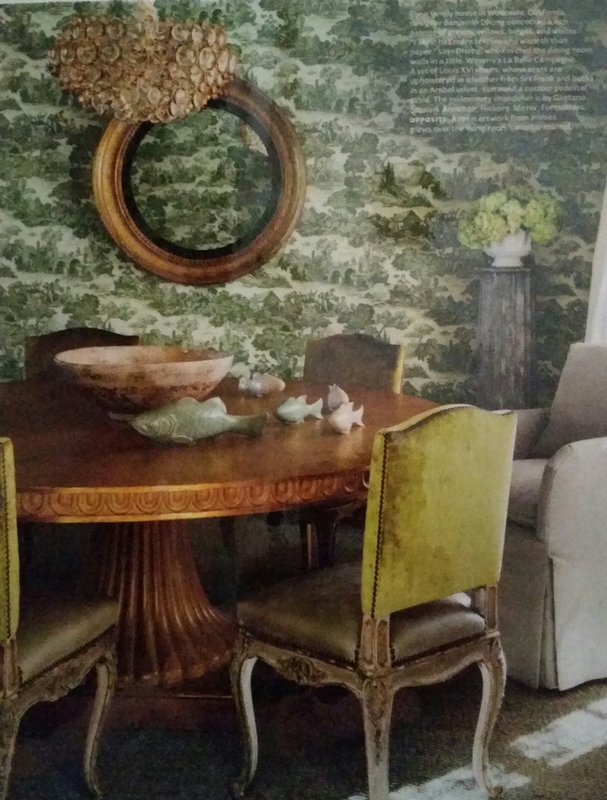 All you need to do is google her name to find her blog, Adorn, to see pictures of her studio & our class set up. 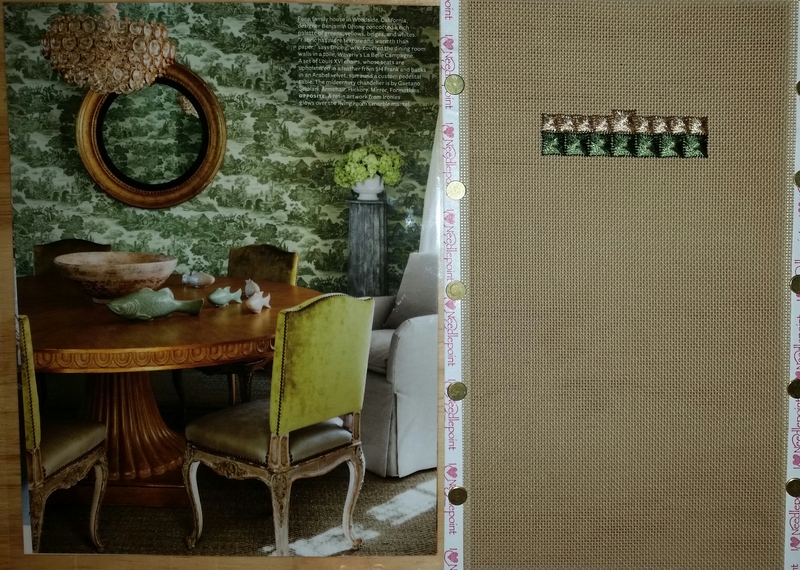 Here’s my picture & my interpretation of the picture in materials I had around the house. And, what I did after dinner! Looking forward to day 2.